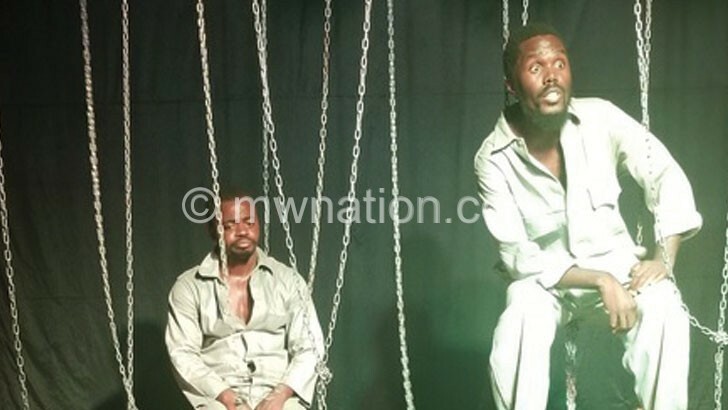 When it was announced that The Trial of Jack Mapanje will be staged in Lilongwe, it was apparent that the satire will evoke memories. However, those that trekked to the Madsoc Theatre in Lilongwe perhaps did not anticipate that some of those that suffered atrocities at the hands of the one-party regime would be among the audience. The play was a success and the two characters, Chola played by Jack Tembo, a journalist trained in the US and Ndatero real name Duncan Chirwa, a university lecturer and playwright, nailed it. In their respective professions, these two have been fighting for change all along and ended up being detained at Mikuyu Prison in Zomba. The set-up fits that of a Malawi prison, scores of chains hanging from the roof while prisoners wrestle with lice as they sleep on the floor. Despite these hardships, Ndatero is the one who is actively involved in the fight for change. Unlike Chola, he is not in a hurry because he realises that change cannot be achieved overnight. Unfortunately, Ndatero is let down by many that preach change but do nothing about it, leaving the audience to draw comparisons with what is happening in the country now where people talk a lot about change on social media, but it ends there. As the play unfolds, prison officials organise an evening of performances and the two want to stage a dramatisation of Mapanje’s trial. As they rehearse, an argument ensues between them; Ndatero wants Jack to plead guilty while Chola will have none of it. then, but with a twist. “Mbee, mbee, mbee, kwacha, mbee, mbee, taonera adadi pobwera, kwacha kwayera,” they sung while taking the audience by surprise with a direct jibe at the incumbent President. With less than two months to go before the May 21 Tripartite Elections, the play presented a perfect platform for Malawians to reflect and stimulate debate on contemporary and development issues, helping shape the direction of the country. The sold-out show energetic and emotional, no wonder it received overwhelming feedback from the audience. “I like the character of policeman which is typical of our policemen. They will hold you for no crime and wait for orders from above, only to be told you have committed no crime,” said one man. Perhaps the striking moment was when one of the former detainees spoke and shared his experience during the feedback session stating that Mapanje’s story cuts across all political administrations.